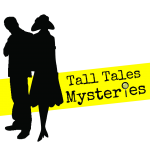 Murder And Mischief At The Garden Rooms, Tennants - Tall Tales Mysteries. Home Halloween Murder And Mischief At The Garden Rooms, Tennants. Saturday 20th October 2018 at 7pm The Garden Rooms At Tennants present this spooky murder mystery 'Murder And Mischief. Sir Ivor Mansion is convinced there is a ghost captain aboard his new yacht so he has brought in mediums, Esther and Hector Plasm, to get rid of the ghostly guest. But while Hector and Esther are intent on making a killing someone goes overboard and this ghost hunt becomes murder! Join us for our latest murder mystery evening with a spooky mood for October. 20th october, book tickets, murder, murder and mischief, murder and mystery at tennants, murder mystery, tennants, the garden rooms, three course meal. Bookmark.